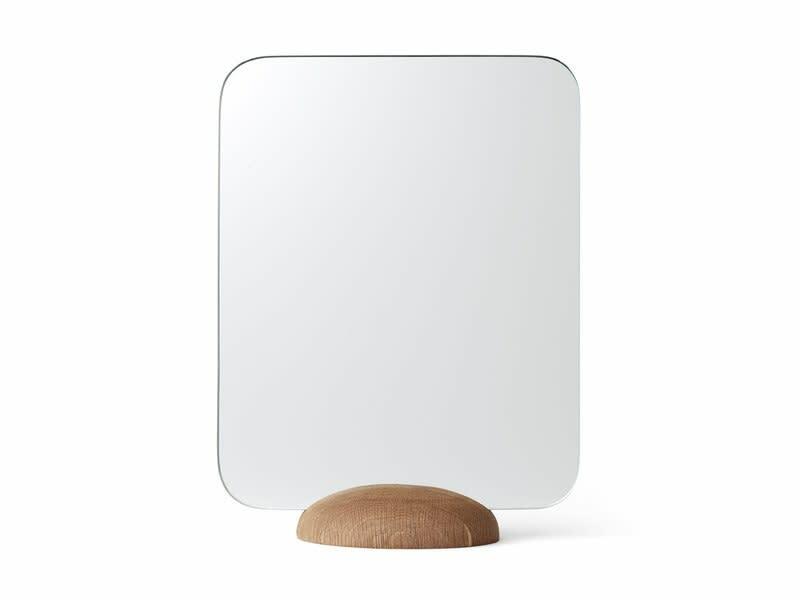 The Gridy Me Mirror from Menu Copenhagen is at first sight a simple, functional object. Closer inspection, however, reveals a slick piece of design. The mirror simply slots vertically or horizontally into the solid oak base for a straightforward mirror, ideal for applying makeup.